Partnership International, Inc (PI) in partnership with the International Geothermal Association (IGA) received financing from the World Bank (WB) toward the cost of the implementation of region-wide technical assistance as part of the Geothermal Energy Development Program (GeoFund), to host the International Geothermal Workshop. 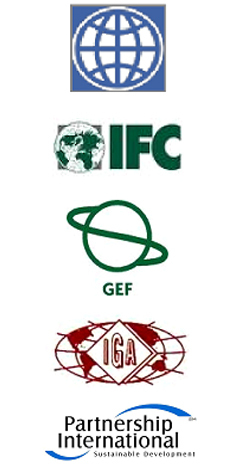 The World Bank's GeoFund - IGA International Geothermal Workshop goal was to systematically promote the use of geothermal energy in the Europe & Central Asia (ECA) by removing barriers to the development of geothermal renewable energy, leading to greater use and increase in demand for, and supply of, geothermal energy projects. The International Geothermal Workshop was directed toward high-level energy officials, developers and financiers. The workshop was targeted directly to GeoFund countries, with a particular focus on Turkey. The workshop goals is to enable geothermal development by bring together decision-makers with leaders in geothermal industry and finance. Hosted in Istanbul, Turkey from February 16-19, 2009, several Turkish businesses attended who are geothermal developers or recently bided on privatized geothermal sites in Turkey. These participants come to the workshop to seek partners to help develop their geothermal potential. The event brought together geothermal technical experts, developers and financiers to enable geothermal energy in the near-term. Our goal was to provide ongoing support and sustainable development of geothermal projects to local developers in Turkey and the ECA region. 1) Technical Assistance: Through the Geothermal Workshop our goal is to present the attendees with methods of how to develop a project, carry-out financial analysis and economic modeling, prepare winning proposals to the GeoFund for explorations and drilling, and secure international financial resources. 2) Direct Investment:: GeoFund, via the World Bank, will support selected project developers by providing low cost loans, contingent grants and outright grants which would cover part of the project cost through monetization of external benefits. Likewise, via the IFC, the GeoFund will help improve the performance of existing geothermal installations through renovation of existing facilities, and will also support bankable business plans for “greenfield” facilities where the resources are promising. 3) Geological Risk Insurance: GeoFund will partially insure project developers/investors against the short-term and medium-term geological risks. This insurance will help mitigate the risks associated with geothermal energy exploration and operation that are considered key barriers to geothermal energy investments. These GeoFund eligible countries are: Albania, Armenia, Azerbaijan, Belarus, Bosnia-Herzegovina, Bulgaria, Croatia, Georgia, Kazakhstan, Kirgizstan, Macedonia, Moldova, Montenegro, Romania, Russia, Serbia, Ukraine, Tajikistan, Turkey, Turkmenistan, and Uzbekistan.